Dark Iron Ore is one of the unwanted trade goods. Many miners run past the nodes and there's always a supply of it in the auction house and everyone seems to be undercutting each other as there's rarely buyers for the stuff. How can you make gold with it then? Most players do not know how to make gold with Dark Iron Ore. Now at least you do! Why are Dark Iron Bars so expensive? 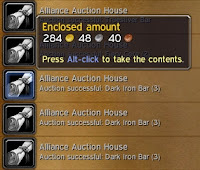 Dark Iron Ore is cheap, but Dark Iron Bars are extremely pricey usually. There's four things to explain this. 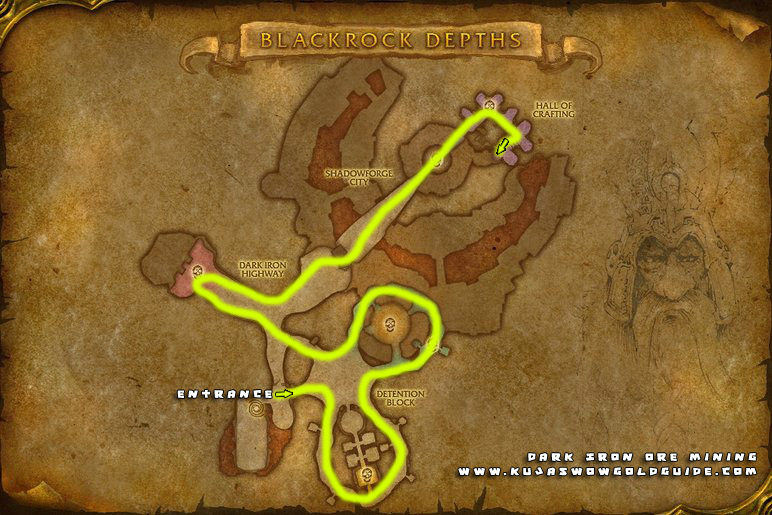 The Smelt Dark Iron recipe is obtained from a quest in Blackrock Depths. It is not learnable from a mining trainer. 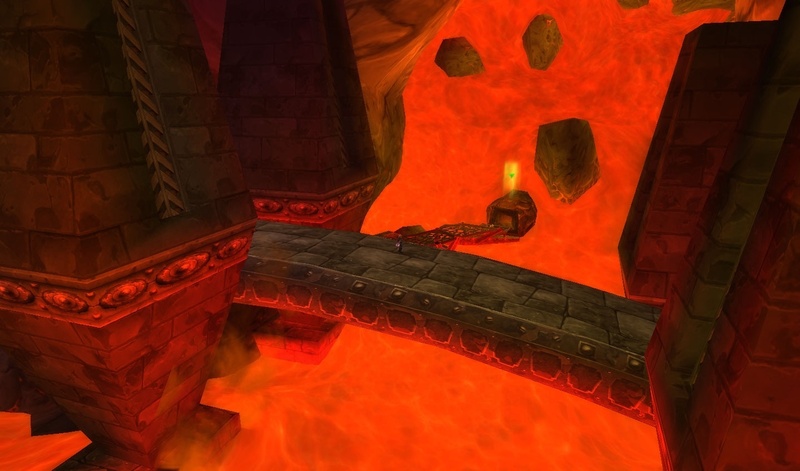 One Dark Iron Bar is made by smelting 8 x Dark Iron Ore.
To smelt Dark Iron Ore, you have to be standing next to the Black Forge in Blackrock Depths, next to Molten Core entrance. Here's current price comparison from my realm. Dark Iron Ore = 2 gold each. 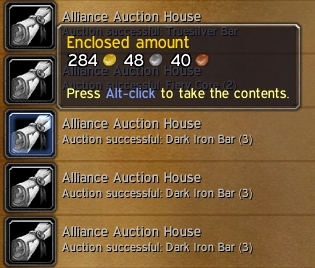 Dark Iron Bar = 275 gold each. If Dark Iron Ore was like other ores, it would be selling for more like 16 gold each. But the trouble you have to go through to smelt it makes it a lot more valuable than other bars. Usually the best place to farm it is the auction house. You're often the only one who will be buying it. But if there's none available to it's price is too high, you're better go mine it instead. 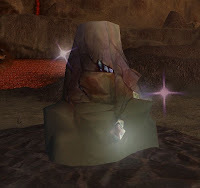 Blood of the Mountain as well when mining these. It's valuable! More info about Blood of The Mountain farming can be found in this post. 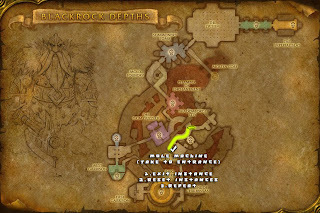 Since Cataclysm, Dark Iron Ore can be mined in two zones only. 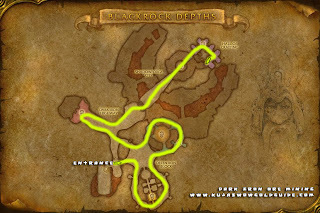 Blackrock Depths is by far the best place to farm it, provided you have the correct route. You can follow the below route 5 times in a hour, each giving you 5-7 deposits usually. 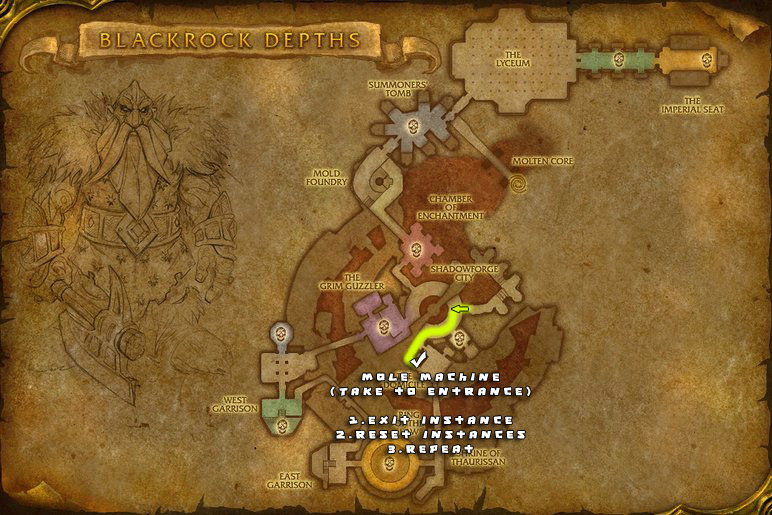 To learn the recipe, you have to enter Blackrock Depths and proceed towards the last boss like you would normally. To save time, use the mole machine next to the entrace and teleport closer to the Grim Guzzler. You can learn the recipe from a quest that is given to you by one of the seven dwarves, the third last boss encounter in BRD. The dwarf you need to talk to is Gloom'Rel. The quest itself requires you to bring the following items, so make sure you have them before coming here. After learning the Dark Iron smelting recipe, proceed with the seven encounter and after that, take the right path that leads you to Molten Core. Do not cross the bridge however, but instead turn left towards the Black Forge in the lava river. This is where you can smelt Dark Iron Ore.
Once you know the recipe for Dark Iron Bars, you can take a shortcut next time. Just teleport to Grim Guzzler, jump down to Lord Incendius and then jump down again into the lava. You can swim in the lava all the way to the Black Forge. The lava ticks only about 500 hp every few seconds, and if you time your jumps correctly, you won't take any damage from it. Protip: Smelting Dark Iron Ore is a fast and cheap way to powerlevel mining from 230 to 305. Not only can these bars be used for Sulfuron's Hammer, but also a raft of other rare and valuable transmog items too! In fact, there's 27 different things Dark Iron Bars are used to make and many of those items haven't seen the AH literally in YEARS. If you take the time to craft a weapon or armour set that looks great, it's very likely to command a good price because of rarity. Probably because people cannot realise a situation where they can use 20 bars and turn a profit. The Dark iron market is fairly niche and realistically only good for transmog gear. I could use 20 bars very easily on my Blacksmith, but my main has been a BS since early BC and has a lot of the patterns that can use these bars. But that's the crux of the matter. The market is niche, but it means the transmogs produced will very likely be unique or rare too. If you can be bothered, the time and effort can well be worth the reward to the right buyer.